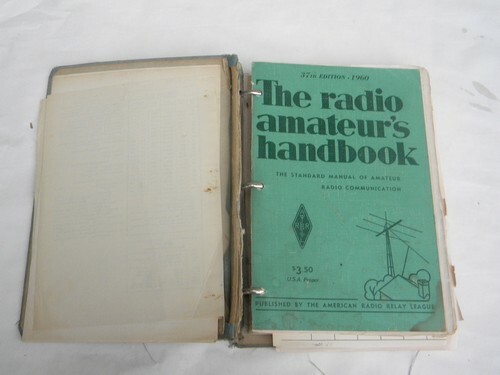 Old and very worn copy of the 1960 edition of The Radio Amateur Handbook, published by ARRL (American Radio Relay League). 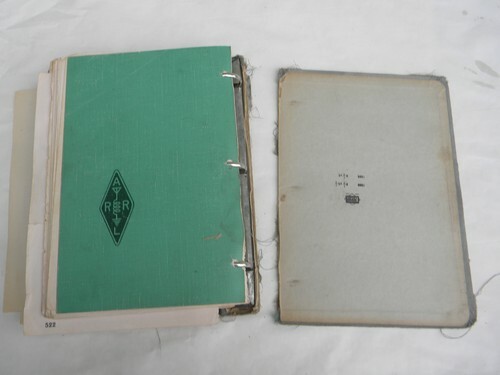 This hand book has been placed in an old three ring binder as it was falling apart. The old green binder is also falling apart and the rear board is already off. 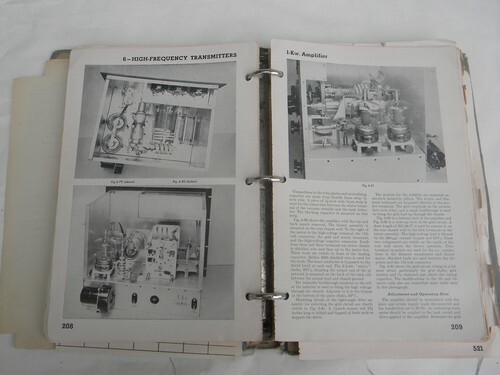 But this is still a good shop copy.